It looks like the classic Victorinox Swiss Army Knife got an update with a design closely resembling Woodland-style camouflage. 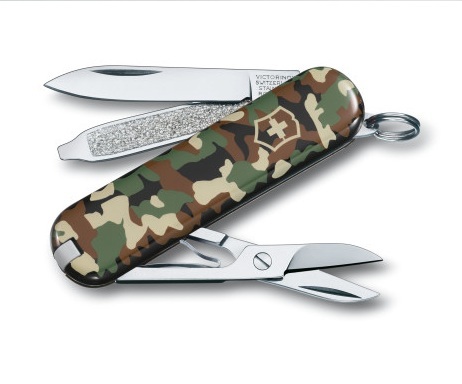 It contains 7 tools: knife, nail file w/ nail cleaner, screwdriver, scissors, toothpick, tweezers, and key ring, although models with an expanded combination of tools and camouflage options, including the huntsman in digital camo, are also available. 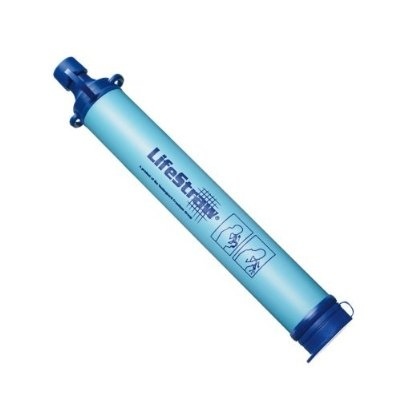 The LifeStraw is an inexpensive yet effective water filtration device that’s perfect for outdoor carry. Without the use of chemicals, batteries, or moving parts, it filters a minimum of 99.99999% of waterborne bacteria and a minimum of 99.9% of waterborne protozoan parasites from at least 1000L or 264 gallons of water. 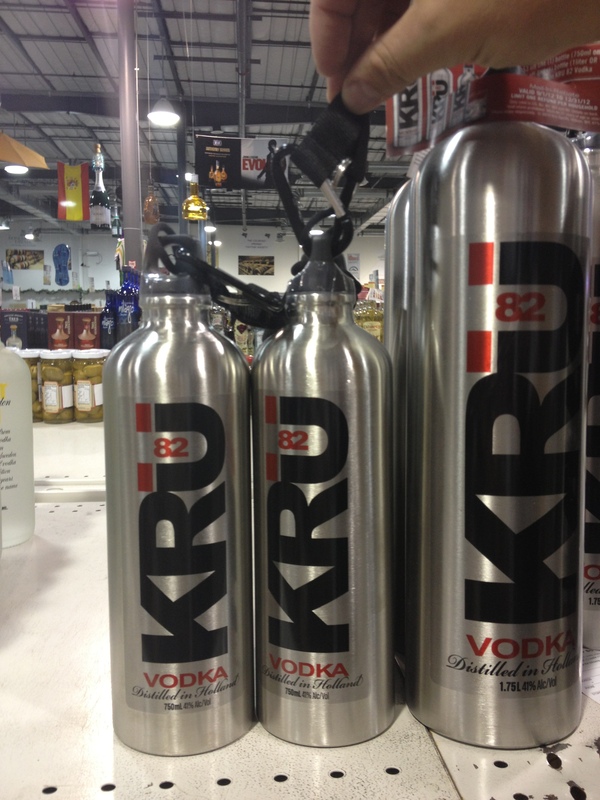 It also features a shelf life of 5 years, so you can feel safe in storing a couple in a bug-out bag or emergency kit. Blue Forest is a UK-based company that deals in sustainable design and construction. 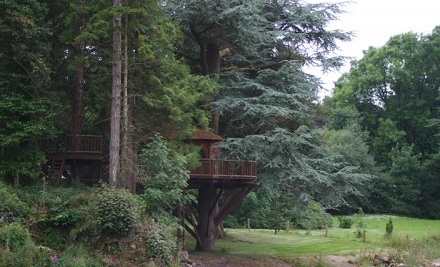 Although they’re best known for their series of amazing tree houses, like the one in the above image, they’ve also done work on a wide variety of educational buildings and hotel projects involving eco lodges and tree house resorts. 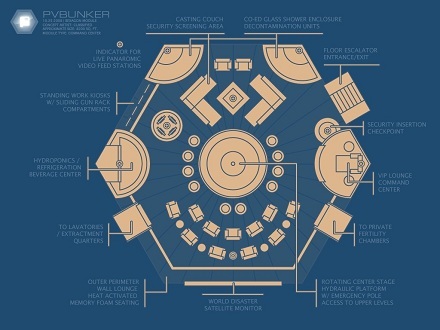 With such a proven track record of high-quality projects, perhaps it’s not out of the ream of possibility for them to make, say, an Apocalypse-scenario hideaway high in the trees, safe from any marauders, ghouls, or mutated animals that may inhabit. Just in case. This is a fun, neat little trick to try if you’re out camping and brought eggs, oranges and tin foil. You start by burning a fire down to the coals. Meanwhile, split an orange in half and hollow out the contents. You then place an egg inside each orange half, wrap them in the foil and place them on the coals. 3-5 minutes later, you have an egg cooked to perfection, with a hint of orange flavor to boot. The above video shows a slightly different method involving placing the orange directly on the coals, but the principle’s the same. I just prefer foil since it keeps everything more secure. The Swag is a lightweight backpack that turns into a single-person shelter with a 6’2″ EVA insulated foam mattress and a top cover fabric made from UltTrex Lite™, a material 7 times more waterproof than canvas. Besides this, the Swag is anti-mildew treated, windproof, and features steam-sealed seams, zippered mosquito mesh, four zippered external pockets, an internal waterproof pocket, a lockable internal pocket (brass lock included), Velcro front pocket, Kevlar security loop, 2 wind clips, two carabiners, and three built-in ropes, among other features. Plus, every Swag purchased buys another for a homeless individual. The Sawyer Squeeze Filter consists of a filter with a push/pull cap that attaches to one of three different sized reusable pouches, 12, 16, or 32oz, or most threaded plastic bottles. 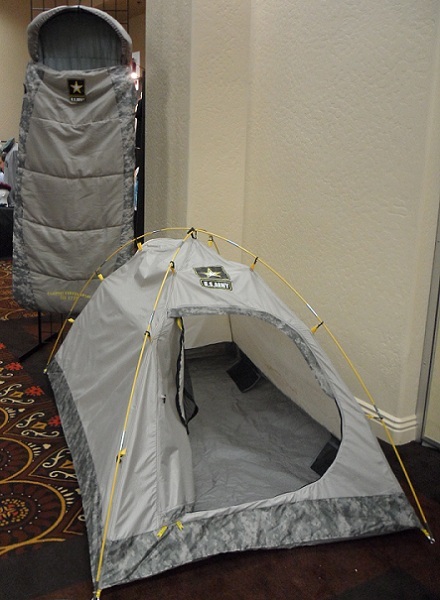 The system is lightweight, weighing only 3oz., and is very portable. Despite its small size it removes upwards of 99.99999% of all water-found containments. The filter can even stand up to high-pressure backwashing due to Sawyer’s robust hollow-fiber membranes, although because of the filter’s large surface area this isn’t a frequently required task. This may prove to be the most entertaining 8:46 of your life, or the most terrifying if you consider the Chinese hoard all armed to the teeth with these shovels. It slices, it dices, it juliennes. Truth be told, a couple of the features such as the “scissor” and nail puller are pretty cool, but music and effects make this one worth the price of admission. Make sure you stay long enough to see the entrenching tool museum. Fanboy note: Where can I get one of these? Looking to trade up from your standard space pen? Then you may want to give one of these these a look. 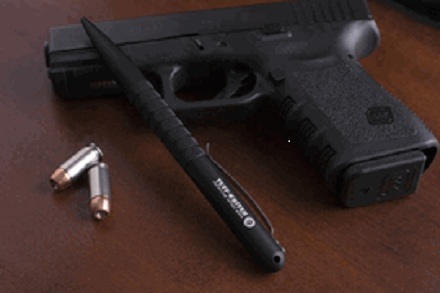 Tuff Writer tactical pens are made from oversized stock 6061-T6 aluminum which is hard anodized to Mil-A-8625 “F” standards. In addition, they are designed to write in the most extreme conditions, specifically in altitudes upward to 12,500 feet, in temperatures ranging from -30 to 250 degrees Fahrenheit and underwater. The pens feature both a sharp and rounded end, with uses ranging from a defensive implement to a PDA stylus. Also, each pen uses a standard Fisher Space Pen cartridge, so they’re easy to refill. Simply put, these are some amazing writing implements. Visit tuffwriter.com to check out the full product line, local retailers, and to order online. While camping, it helps to be prepared for any variety of situations that could occur. 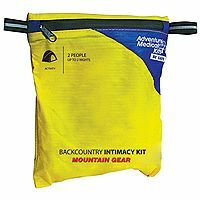 The ‘Backcountry Intimacy Kit’ by Adventure Medical Kits takes this to the extreme. Included in the kit are lubricated condoms, packets of lubrication, wet wipes, compressed towels, and a disposable bag. The carrying pouch itself is zippered and waterproof. Basically everything you need to practice safe “intimacy” in the relative privacy of nature. I mean, what else are you going to use that tent for besides sleeping? 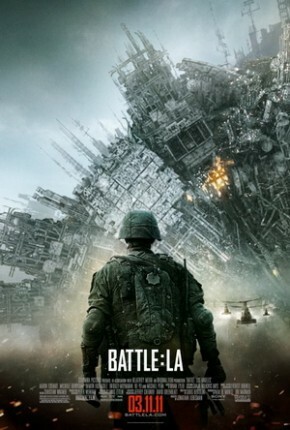 One very observant reader pointed out that the Source USMC Tactical 3L hydration system is featured in this poster for Battle: Los Angeles, the upcoming extraterrestrial invasion flick. Keep ’em coming, readers! This jerky has the unsettling appearance of zombie flesh. Besides that, it’s totally edible. Teriyaki flavored, even! Not gross at all! …I’m not sounding very convincing, am I? You can get your own package of Zombie Jerky at thinkgeek.com.